one day, someone had to stand up and make a stance to fix this fragmentation. The IEEE, an organization of engineers, scientists and students who are known as the worlds largest technology professional society are attempting to bring order to the Internet of Things by defining a standard for architectural framework. 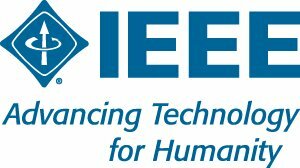 Traditionally, the IEEE has been a major contributor with computer related standards - but is this too little, too late? Unfortunately, this is 2014 - not 1985. We have already seen industry based efforts such as Hyper/Cat and proprietary frameworks companies as pushing to promote their own solutions. As technology has evolved and became more accessible by the common person and companies that build solutions - it isn't up to a secluded set of engineers, scientists and students to define universal standards especially when others have already started pushing their own. In an ideal world; the IEEE would have started this project a few years ago and acted as an independently industry lead working with other technology companies before IoT became main stream and focus on defining a standard that all companies would adhere to - much like the efforts to standardize floating point arithmetic (IEEE 754) or networking (IEEE 802.11). The goal now is to push to have a standard by 2016 - there is hope that the likes of Cisco Systems, Huawei Technologies, General Electric, Oracle, Qualcomm and the ZigBee Alliance (amongst others) are already on board; but the ideal plan is to bring in other standards organizations such as ETSI, ISO and oneM2M to coordinate efforts. At some point in time, the hype bubble will burst and interoperability will definitely happen.